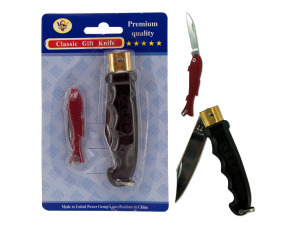 The classic gift set comes with a set of 2 knives. Includes 1 small knife with fish design and 1 medium knife with a grooved design. Comes packaged on a blister card with hanging hole.